All the pretty lights are twinkling, the tree is aglow with the sparkle of ornaments, the air is filled with the scent of baked goods, and love and holiday cheer consumes the hearts of many during this wonderful time of year. The holidays are a time for family, tradition, and new beginnings. You may be experiencing the ultimate new beginning this holiday season with a precious newly adopted little one. Figuring out how to approach this season may have you concerned. So we’ve put together a guide for how to handle this season, bond with your child, and create amazing memories and traditions in the process. Depending on the age of your adopted child they may be coming into the holiday season with experiences, and memories that shape their view. If you have a toddler, they probably can’t verbalize yet what Christmas might have been like in their prior household. The only clues you may have are how they respond to decorations, music, or even Santa. It’s important to be mindful of the past experiences of your child, and to not put too much pressure on them to conform to traditions until they’re ready. Christmas is such an emotionally charged season; we can assume this time of year may have been either uneventful or a shining moment. With all of this in mind, it’s still your opportunity to create new and lasting bonding experiences. They’re just on your child’s timeline. Children who’ve experienced trauma often have needs of a younger emotional age. Chronological age and emotional age are not always equivalent. It’s key to discern your child’s ability to handle the events and activities of the holidays. So if you sense tension or an uneasiness don’t force participation, but allow it to come naturally as your child becomes accustomed to how holidays will now play out. With time, patience, and love holidays will soon be cherished by all. If your child is ready then the following activities are an amazing way to bond and come together this holiday season. Make family night even more exciting with food and games inspired by your favorite holiday film. 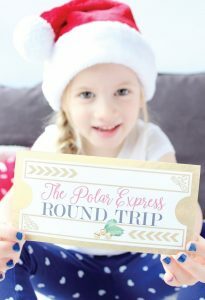 The Dating Divas did this for The Polar Express, complete with free printable “train tickets,” games, and yummy snacks and beverages. Get the tutorial! Creating crafts together is always a fun time. Check out these 32 ornaments you can make at home. The holidays are a great excuse to treat yourself to extra-special breakfast treats. 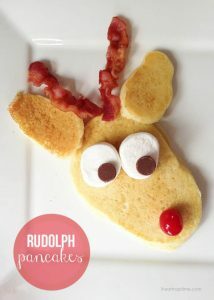 Why not cook and decorate these adorable Rudolph pancakes together?! Whether you’re driving around your local neighborhood or paying to see a festive light show, viewing Christmas lights is sure to add some joy. Basically it’s the same as an Easter egg hunt, but with candy canes or any other favorite festive treat. 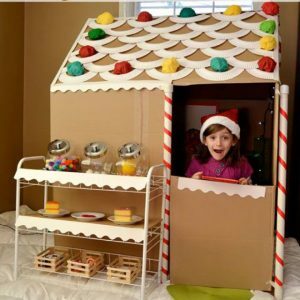 Bring your gingerbread house to life by building a kid-sized one together! All you need are some items from around your house and these instructions to craft what may be one of their favorite holiday memories. 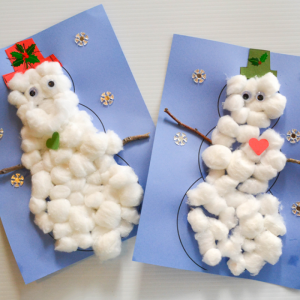 Play with some “snow,” aka fuzzy cotton balls to create your very own snowmen. All you’ll need is sticks, googly eyes, and any other items you’d like for decoration. 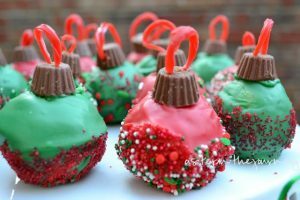 Delicious and beautiful is how we’d describe these ornament cake balls. 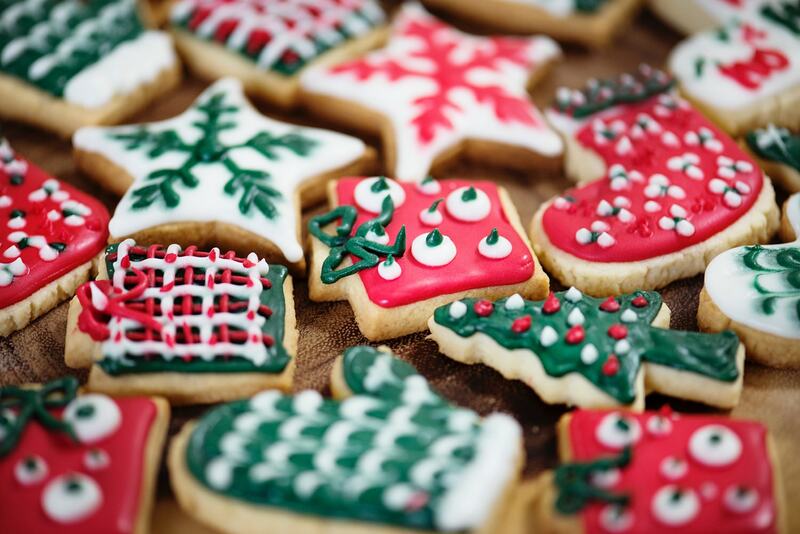 Bake and craft them to everyone’s delight. Here’s the recipe and how-to.